Good morning blogging friends! 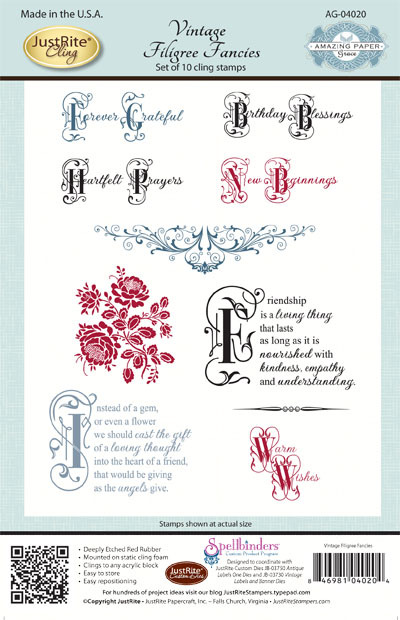 I am very excited today to be able to share with you the New Amazing Paper Grace stamp sets from Becca Feeken! 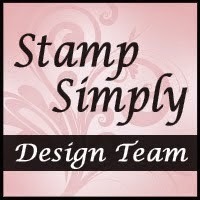 Becca has designed three beautiful stamp sets and I am so happy for her and this new journey that she is on. This first stamp set is AG-04020 Vintage Filigree Fancies and it includes a beautiful floral image, two accents and six sentiments for a total of ten stamps. 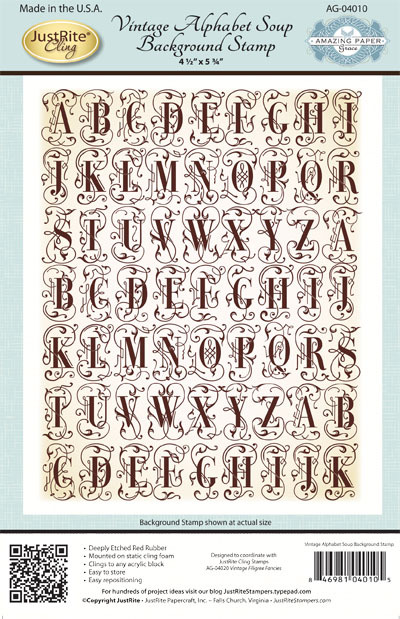 The next stamp is AG-04010 Vintage Alphabet Soup Background. I love this vintage font! 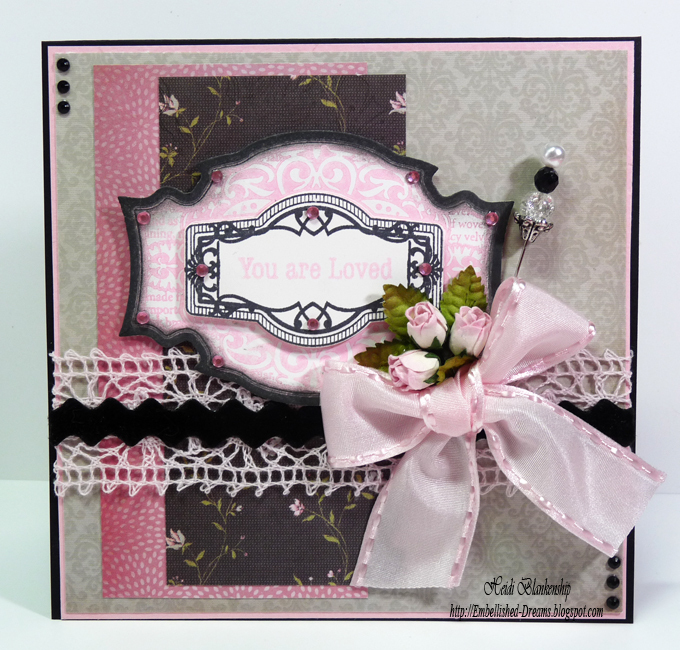 The third stamp set is AG-04015 Just The Right Words and this stamp set is perfect for all occasions. 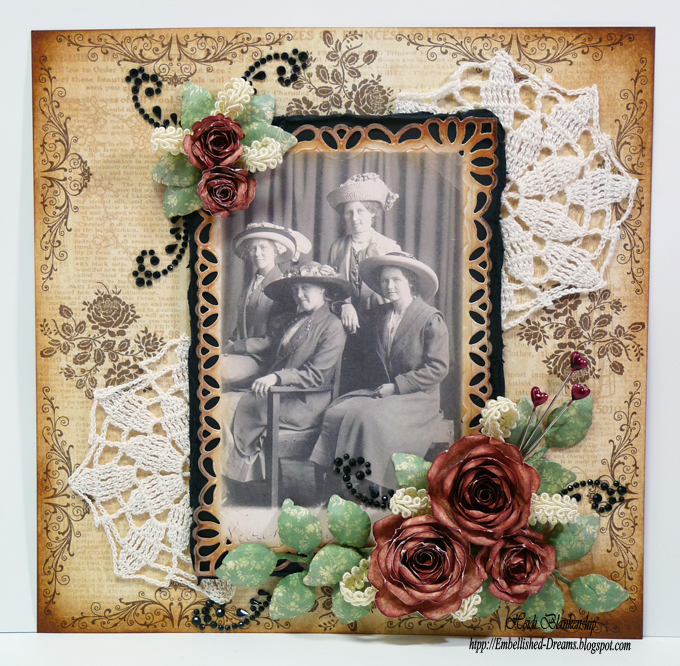 For my project I designed a scrapbook layout using the floral image and one of the accent images from AG-04020 Vintage Filigree Fancies to create a beautiful border for the edges of the layout. This past weekend we had our family reunion and I was lucky enough to get a couple of very old scrapbooks and several old B&W photos from one of my great aunts. The lady sitting in the chair to the right is my great grandma in 1913 when she was eighteen years old. I love old photos and I can't wait to create more layouts with them. Here is a close up where you can see the stamped images. I love the details in these stamps! I made a small flower cluster at the top of the photo using S5-086 Bitty Blossoms and S4-328 Foliage die templates from Spellbinders. I also added some Ivory Trim from May Arts Ribbon Sampler Vintage Pink from The Stamp Simply Ribbon Store and Black Swirl Bling from Recollections. I used S5-147 Resplendent Rectangles to cut/emboss the photo. 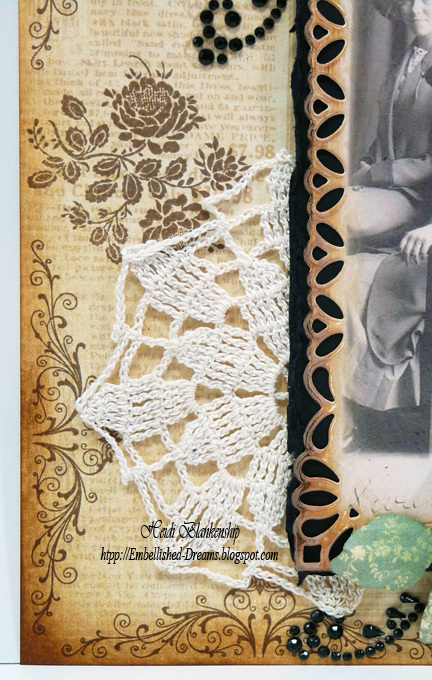 I inked the edges with Antique Linen and Vintage Photo Distress Inks. Then I layered the photo on to a piece of black cardstock. I used the Distrezz-it-All to distress the edges of the black paper. Here is a little tip--scan your photos (especially old photos) and then use a reprint for your projects and keep the original photo as is. 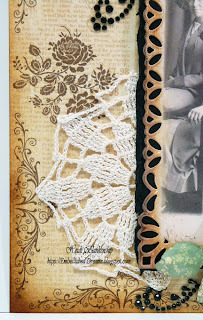 Here is another close up where you can see the stamped images and I also added a couple of little hand crochet doilies to the layout. The my aunt Gail picked these little doily pieces up for me at my great aunts estate sale and we think they are maybe from a table cloth that she was working on at one time. I thought they would make a great addition to the layout. 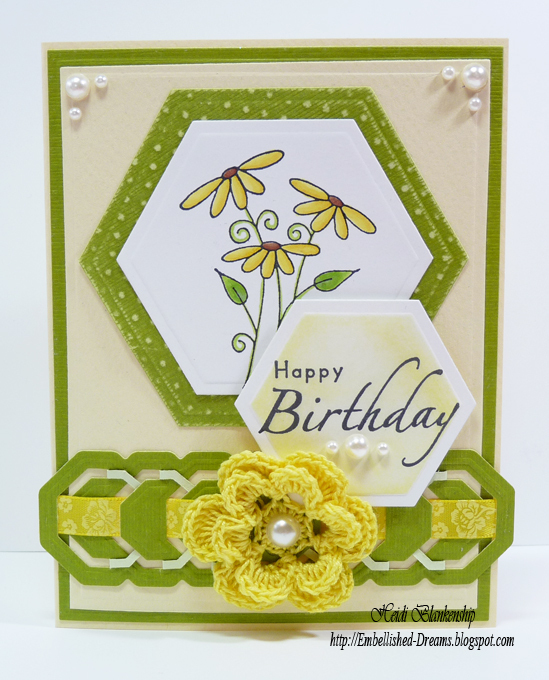 I made a larger flower cluster on the bottom of the layout using S4-364 Spiral Blossoms Four, S5-086 Bitty Blossoms and S4-328 Foliage die templates. Then I added more of the ivory trim, black bling swirls and some heart trinket pins for embellishments. 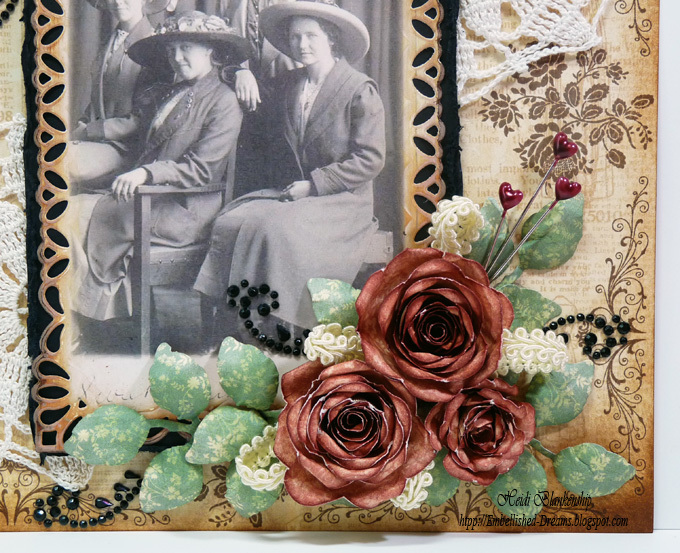 I used Graphic 45 A Ladies' Diary Collection for all of the pattern paper. 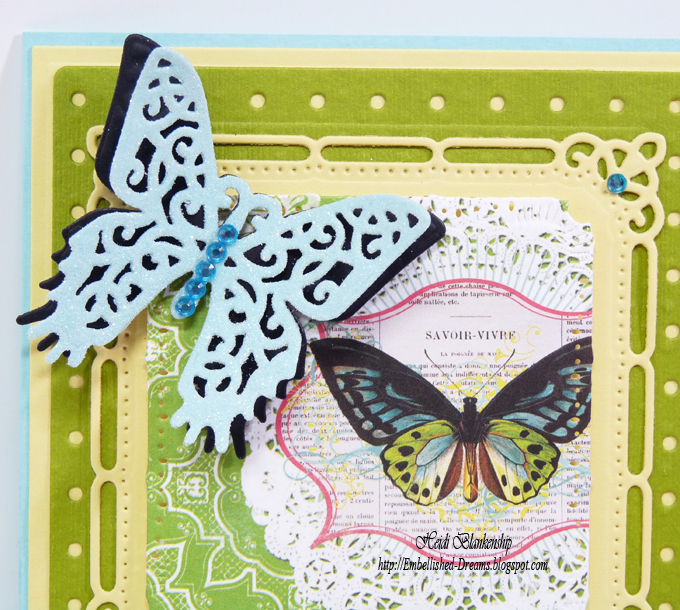 Please be sure to visit each of the JustRite Papercraft Design Team Members listed below to see what they have to share with you using Becca's New Amazing Paper Grace stamp sets. Hello blogging friends! 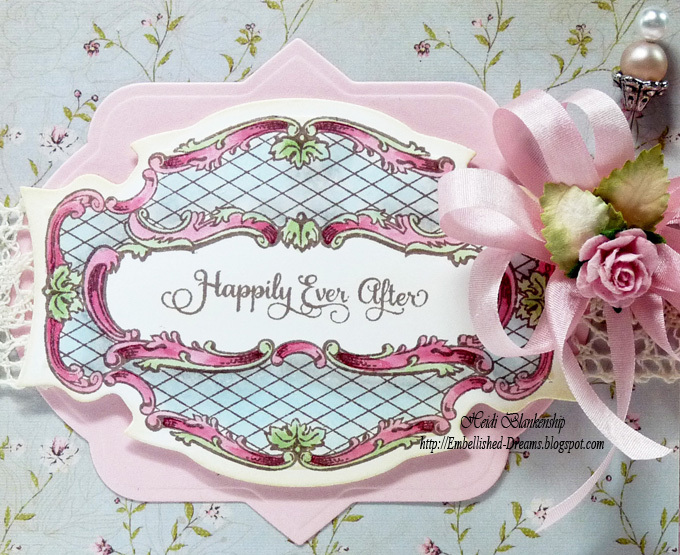 Today I have a wedding card to share with you using CL-03825 Ever After Antique Labels stamp set and JB-03830 Antique Labels One Dies from JustRite Papercraft. 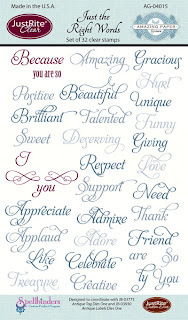 I stamped the image and sentiment from CL-03825 Ever After Antique Labels stamp set onto Simply Smooth White paper from Discount Cardstock using Tuxedo Black ink. Then I colored the image using Copic markers and used the JB-03830 Antique Labels One Dies from JustRite Papercraft to cut/emboss the label shape. I also cut/embossed a label using JB-10025 Nested Oval Medallion Dies and Pink Lemonade paper and then I layered the two label shapes. 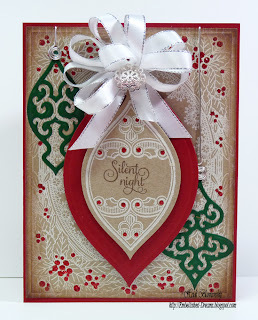 I used Kaisercraft The Lake House 6-1/2" Paper Pad for the pattern paper. 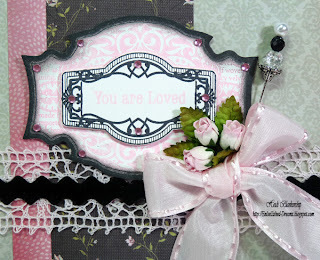 To embellish the card I used May Arts Ribbon Sampler Delicate Vintage Lace and May Arts 1/4 Pink Silk Ribbon from The Stamp Simply Ribbon Store. I also added a pink rose and leaves from I am Roses, Pearls from The Rubber Cafe' and a handmade stick pin. Hello blogging friends! Today, I have a quick post and a fun little card to share with you. To create the cute little kite I used S5-097 Jewel Treasures die template from Spellbinders with Sno Cone paper from Discount Cardstock and 4318 Jewel Treasures Chipboard by Julianna Hudgins from Want2Scrap. For the center of the kite I used a piece of Pink Lemonade paper and I applied Glossy Accents and then added Diamond Clear Glitter from The Rubber Cafe'. I also added a Mini Crystal Diamond Drop from Pro 31 Designs and a few LeCreme Pearls. 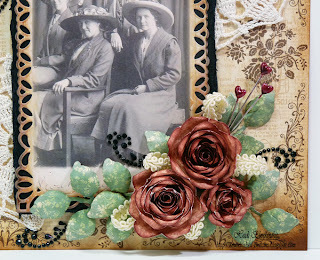 The pattern paper is from Pro 31 Designs Pink Paislee London Market Rare Finds and Curiosities. I typed up the sentiment on the computer, printed it out and then cut each word into a block and inked the edges with Pumice Stone Distress Ink and added 3D Foam Squares. Hello! Sorry I have been mia for a few days. Summer is just such a busy time! 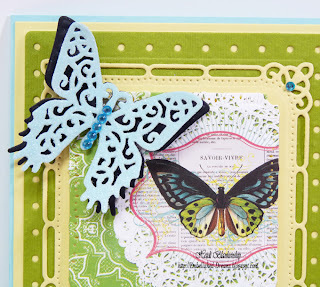 Today, I have a fun Paris card to share with you using the New Samantha Walker S5-145 French Frills die templates from Spellbinders and Merci sentiment stamp from The Rubber Cafe'. I love this Eiffel tower die cut! 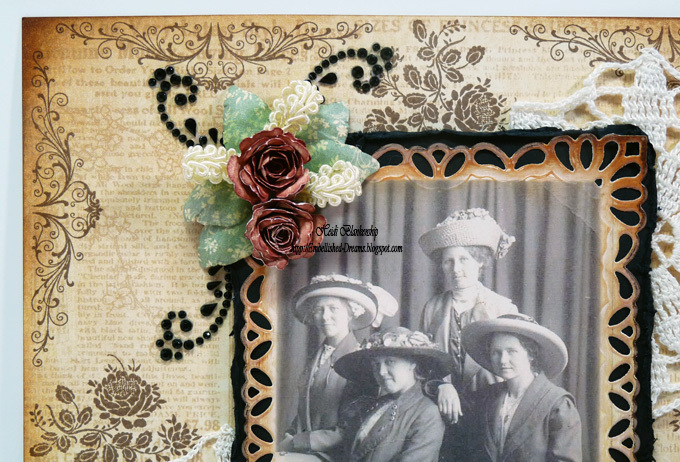 I also used several embellishments from Pro 31 Designs. Check out the hot pink paper! 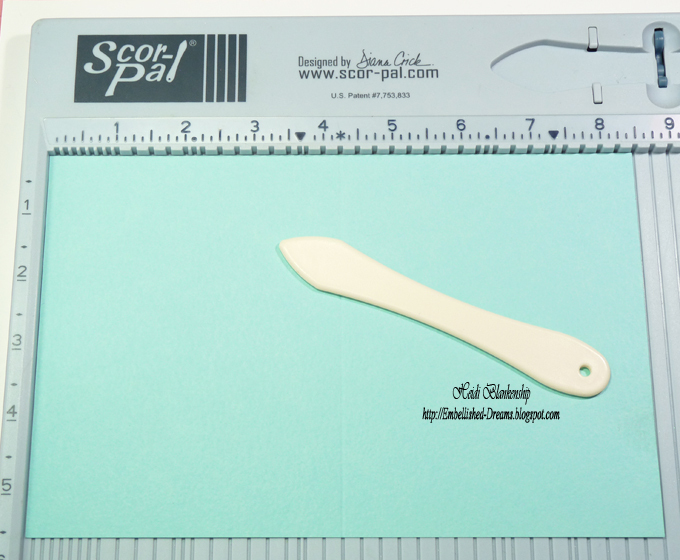 This is some of the New Two Scoops Very Berry by Bazzill that can be found at Discount Cardstock. I also used Soot and Frosted Pink Prismatic cardstock. I created a border along the side using Pink Crochet Stretch Lace Trim and Black Bling Chain Mini Trim 4mm from Pro 31 Designs. Then I added some Black Seam Binding from Really Reasonable Ribbon and tied a bow on the tag. I added a pink mulberry rose and a handmade stick pin. The rose and the pink acrylic flower in the stick pin are both from Pro 31 Designs. Here is a close up of the tag. I used S4-367 Back to Basics Tags die template to make the tag and the Merci stamp is from The Rubber Cafe'. **Update--for the past 3 years I have had a Paper Crafting Sale at my house to clear out some of my supplies and make room for new supplies. I have received several phone calls and emails asking if I am having a sale this year and if so when will it be. The answer is Yes I will be having a sale but it's going to be a few more days before I will be posting the date--just trying to get everything figured out and when will be the best time to have the sale. So check back because I will be posting the dates of the sale in the next few days. Hello everyone! To day is my day to post for Julianna C. Hudgins DT. 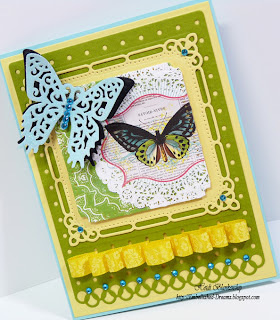 My blog project features some of Julianna’s brand new Positively Me products through Spellbinders Paper Arts and Want2Scrap. I designed a card using S5-143 Jewel Flowers and Flourishes die templates from Spellbinders and Nestaboard – Jewel Flowers and Flourishes (S5-143) from Want2Scrap. 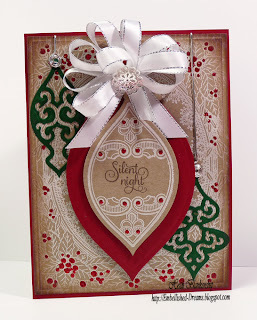 I also used S5-131 A-2 Matting Basics A, S5-132 A-2 Matting Basics B and S5-133 A-2 Polka Dots die templates along with the Grand Calibur from Spellbinders. All of the cardstock is from Discount Cardstock and I used Pink Lemonade for the daisy, Herbal Garden for the leaves and smaller flourish, Soot for the larger flourish and Simply Smooth White for the sentiment. I added a couple of gold filigree jewelry findings, a blue flower button and a pearl to the center of the daisy. I also added a couple of pink mulberry roses from Pro 31 Designs on each side of the flower and a little Diamond Clear glitter from The Rubber Cafe for a little added sparkle. For the sentiment I used one of the stamps from the Friends set from The Rubber Cafe. 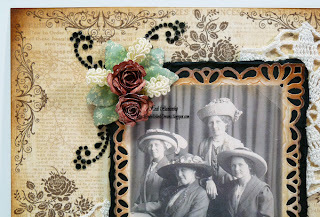 To find out all of the details and see more pictures please click HERE to visit Julianna's Blog. Hello blogging friends! Today, is the first day of CHA! The day when all of the New Releases are revealed!! I can't wait to see all of the New crafty goodness! 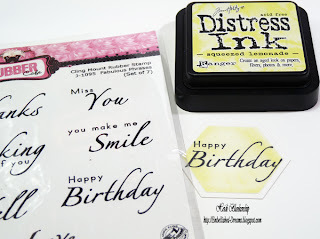 Today, I have a birthday card to share with you using some of the New Two-Scoops paper from Bazzill which can be found at Discount Cardstock. The color I used is called Two Scoops Prickly Pear. I know so many of you love the Dotted Swiss and the Two-Scoops is a step up--it's like a Two Tone Dotted Swiss!! Gotta love that! 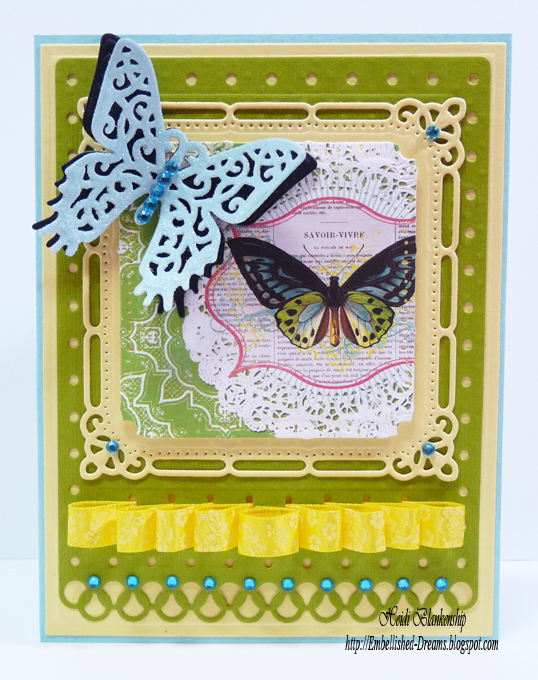 I also used some of the New Release die templates from Spellbinders, July Ribbon Club Assortment from Really Reasonable Ribbon and stamps from The Rubber Cafe'. 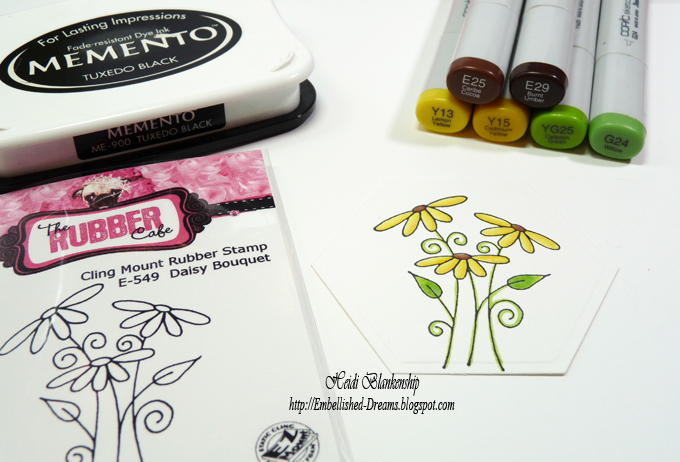 To start I die cut the S4-368 Hexagon shape and stamped the E-549 Daisy Bouquet image and added the color with Copic Markers. 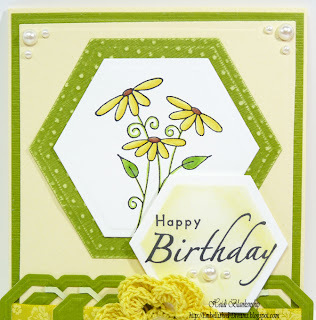 Then I stamped the sentiment on to Simply Smooth White and die cut a smaller S4-368 Hexagon shape. Before removing the die template I used the die as a stencil and inked the inside edges with Squeezed Lemonade Distress Ink. 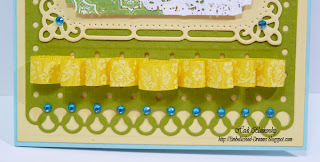 Next I die cut the border using Two Scoops Prickly Pear paper and S5-138 Octagon Stripes and Accents die template. This is a cut-fold-tuck die template so after I die cut the shape then I folded and tucked along the cut lines. The Two-Scoops paper is perfect for this because it has the two tones of paper. 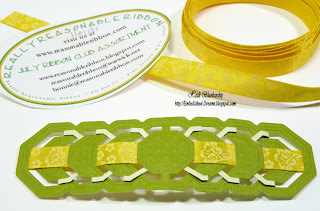 Then I threaded a piece of yellow floral printed ribbon from the July Ribbon Club Assortment from Really Reasonable Ribbon. Here is a close up of the border. I also added a yellow handmade crochet flower that my aunt Gail made and I added a pearl to the center. I die cut a larger S4-368 Hexagon to use as a mat behind the daisy image and then I lightly sanded the die cut to reveal the lighter color and the Swiss Dot pattern on the paper. 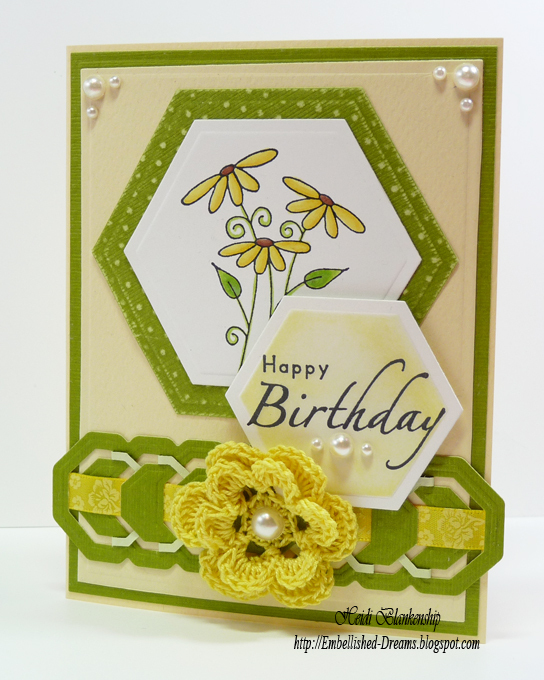 Here is a close up of the card front with the layered die cuts. 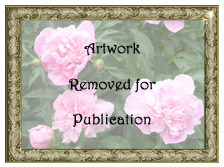 I also used S5-131 A2 Matting Basic A, S5-132 A2 Matting Basic B for the matting. I have to say I am loving the Card Creator die templates--easy peasy and no measuring! Thanks so much for stopping by today! I am off to watch LIVE from CHA--I can't wait to see all of the New Release!! 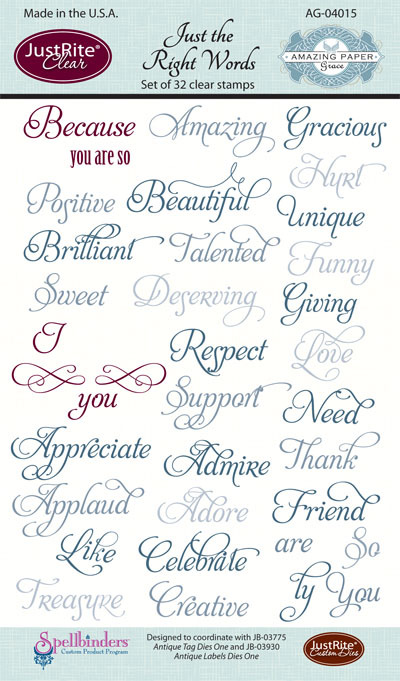 I hope you have a Fantastic Day!! 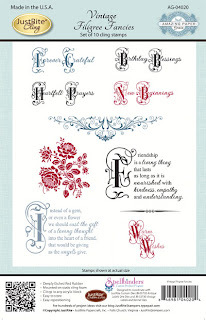 Bazzill Basics Paper - CHA Sneak Peeks - Win it before you can buy it!! Hello blogging friends! This next week July 17th - 19th is CHA, the Craft & Hobby Association Trade Show in Chicago, IL. This is where all of the companies in the crafting industry will be showing all of the New Product Releases. Several companies have already been showing sneak peeks for the last couple of weeks. It's an exciting time!! But what would be more exciting then seeing the sneak peeks? How about a chance to WIN some of the New Products--I bet you would LOVE that!! 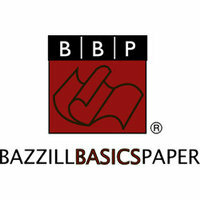 How many of you out there LOVE Bazzill Basics Paper? And how many of you would LOVE to WIN some products from Bazzill Basics Paper? Well here is your chance!! Starting July 17th at 8 am Bazzill Basics Paper will be showing sneak peeks and giving away goodies!! Every hour they will be showing something NEW and giving you a chance to Win it Before you can buy it!!! This is what you need to do------> Click HERE and LIKE the Bazzill Basics Paper Facebook Page and tell them I sent you. Then click HERE to visit the Bazzill Basics Blog so you don't miss out on any of the sneak peeks!! You will see all of the updates and sneak peeks starting Tuesday, July 17th at 8:00 am and have a chance to Win!! 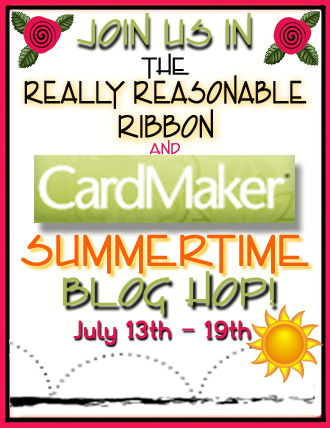 Really Reasonable Ribbon & CardMaker Summertime Blog Hop!! Good morning blogging friends! 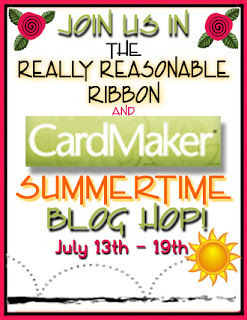 Today, is the Really Reasonable Ribbon Blog Hop for the month of July. The RRR Design Team Members and Special Event Design Team Members will be showcasing the Monthly Ribbon Club. This month the Fabulous CardMaker Design Team Members are joining us for the blog hop! Please be sure to check out the Really Reasonable Ribbon Blog and the CardMaker Blog for all of your paper crafting inspiration! This month there is a wonderful assortment of Yellow and Green ribbons included in the >July Ribbon Club Assortment Click HERE for more details. 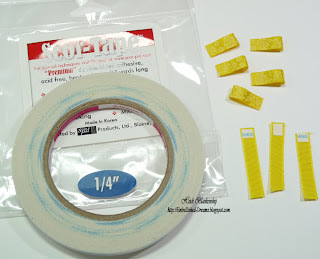 We are also featuring products from Scor Pal in the blog hop this month. If you are following the order of the blog hop you should have just come from Carolyn's Blog. 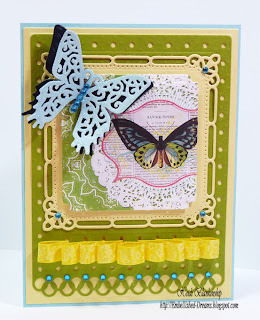 If not and you just happened to pop in for a visit please click HERE to start the blog hop at the CardMaker Blog. 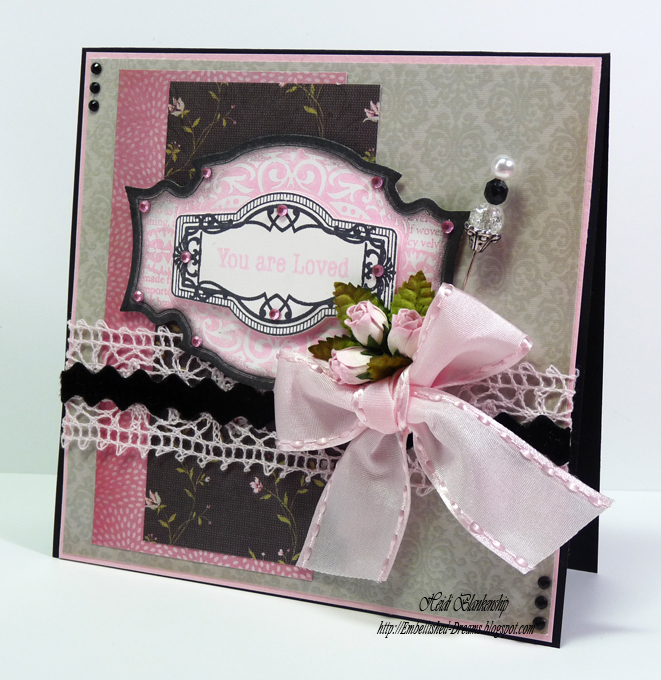 For my project I designed a card with a layered loop bow using ribbon from the July Ribbon Club Assortment from Really Reasonable Ribbon and Scor-Tape 1/4''. To start I cut eight small piece of ribbon and added a little piece of the Scor-Tape 1/4'' . Then I made eight little loops. 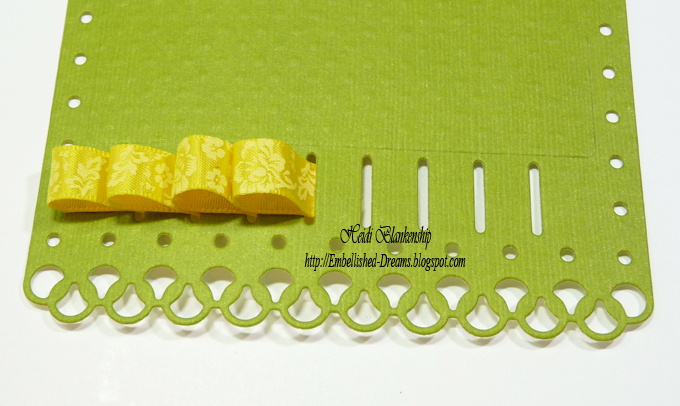 I inserted the ribbon loops into the ribbon threader die cut. I used the Scor-Tape 1/4'' to adhere the ribbon to the back side of the die cut. This is how the ribbon will look from the front. Here is a close up once I had all of the ribbon in place. For the center I took another loop with some of the Scor-Tape 1/4'' and applied it to the center. I also used the Scor-Pal to score my card base. Here is another look at the finished card. All of the cardstock is from Discount Cardstock. I used Pop-Tones Banana, Two-Scoops Prickly Pear, Frosted Teal Prismatics and Soot. 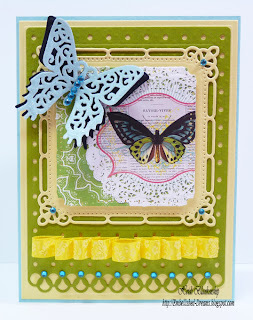 To create the die cuts I used the Grand Calibur from Spellbinders and S5-131 A2 Matting Basics A, S5-132 A2 Matting Basics B, S5-135 A2 Fancy Ribbon Threader, S4-383 Marvelous Squares, S4-371 Les Papillions die templates. To add all of the sparkle I used Scrap Happy Sheer Glue and Diamond Clear Glitter from The Rubber Cafe. Thank you so much for stopping by today and I hope you enjoy my card, tutorial and the Blog Hop! 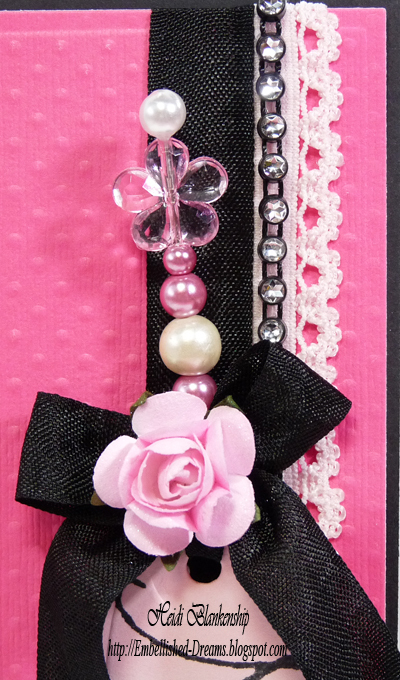 Don't forget to visit the RRR Store and check out all of the beautiful ribbons, lace and trims! Hello! Today, I have a couple of New Releases from JustRite Papercraft to share with you. The first one is the New stamp set CR-03845 With Gratitude Labels One. This is a wonderful stamp set and it's filled with so many great sentiments. 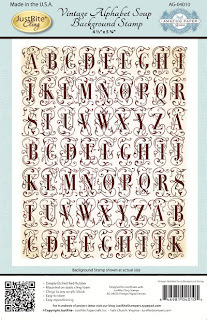 The second New release is JustRite Papercraft Custom Dies JB-03830 Antique Labels One Dies. I love this new die set! I also wanted to let you know that the New JustRite Papercraft Catalog is available to order for $5.95 and it will be shipping July 25th. Click HERE to find out all of the details on how you can order the catalog. 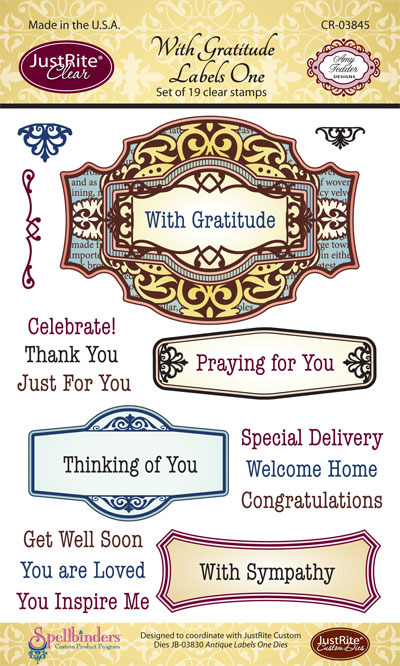 Here is the card that I designed using CR-03845 With Gratitude Labels One and JB-03830 Antique Labels One Dies. 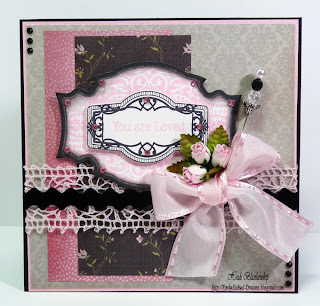 I used Rosebud and Black Color Box inks from Clearsnap and I also used Tuxedo Black in from Tsukineko for the stamping. I stamped the image of the label twice, once in rosebud and once in black and then I die cut both the larger and smaller labels using JustRite Papercraft Custom Dies JB-03830 Antique Labels One Dies. All of the ribbon and trim is from The Stamp Simply Ribbon Store. 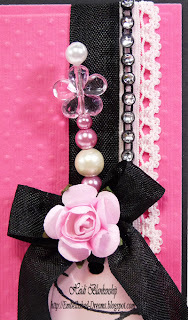 The pink lace and ribbon is from the May Arts Ribbon Sampler Vintage Pink and then I also added a piece of Black Velvet Ric Rac Trim. The paper flowers and leaves are from I am Roses. I added a handmade stick pin and a few pink and black rhinestones from Recollections. All of the solid colored cardstock is from Discount Cardstock. Please be sure to check out the JustRite Papercraft Design Team Members in the link list below so you can see what they designed using the New Releases. Hello blogging friends! 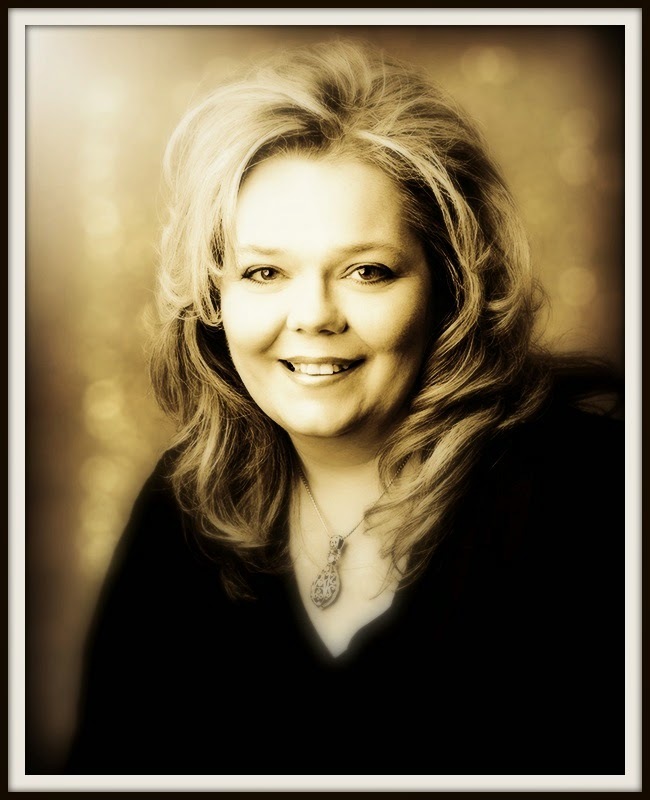 Today is my day to post for Julianna C. Hudgins Design Team over at Julianna's Blog, Positively Me. 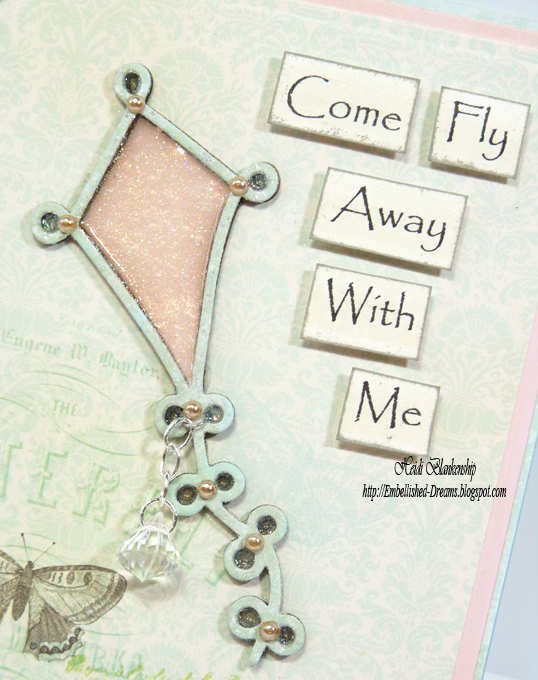 I am sharing how to create a pair of fun shrink art earring using the New S5-143 Jewel Flowers & Flourishes and S5-144 Jewel Sentiments die templates from Julianna's Positively Me Designer Collection from Spellbinders™. I love using Shrinky Dinks Shrink Art to create jewelry. It is quick and easy to work with but what I love more is that I can make custom jewelry to match any outfit! Please click HERE if you would like to find out all of the detail and see more pictures with a full tutorial on how I designed these earrings. Hello blogging friends! 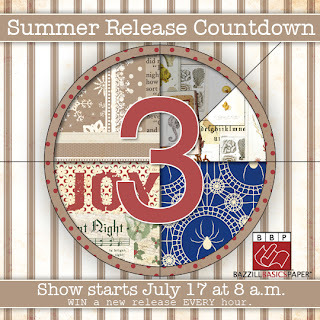 Today, is day two of the New Releases for July from JustRite Papercraft. Today we are showcasing CL-03835 Christmas Miracle Ornaments and CL-03860 Christmas Holly Background Stamp. 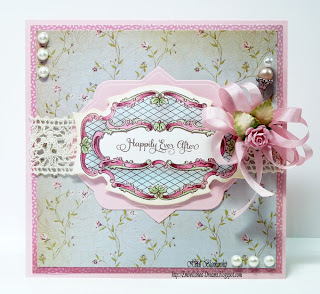 Here is the card I designed using both of the New stamp sets. 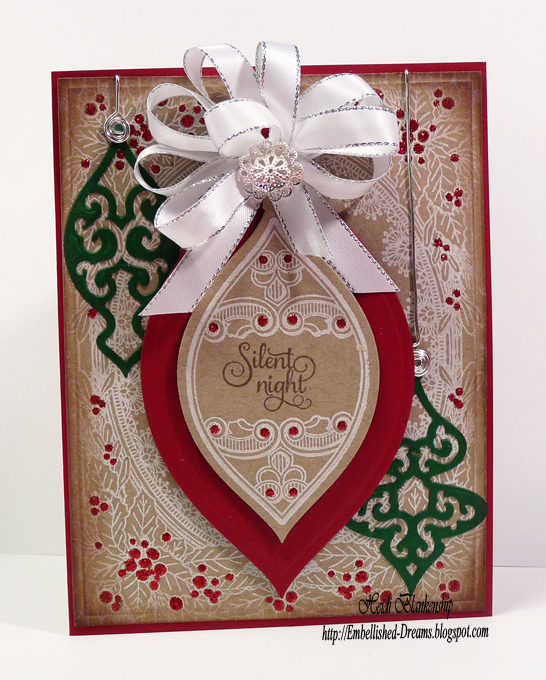 I stamped the background image and the ornament on to Kraft paper using Frost White Pigment Ink. 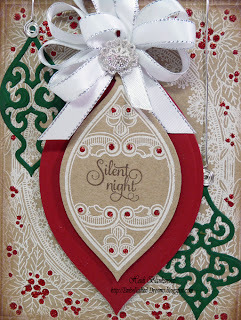 Then I used S5-116 2012 Heirloom Ornament and S5-131 A2 Matting Basic A die templates to cut/emboss the images. 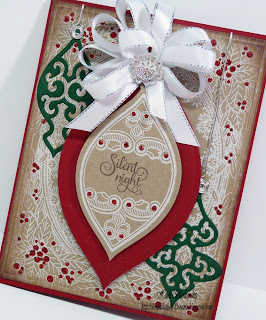 I also cut/embossed a larger ornament using Really Red paper and then two smaller ornaments using Forest Green paper and S4-339 2012 Holiday Tree die templates from Spellbinders. I layered the die cut images on to the card front as shown and then I added wire hangers to the two smaller ornaments and a pretty bow to the larger ornament. I added a couple of pretty silver filigree jewelry findings to the center of the bow and then I added red stickles to all of the berries on the background image. Please check out the link list with the JustRite Papercraft Design Team Members to see what they have to share with you! Exciting News To Share - Pro 31 Designs DT! !